Masayoshi Son’s behemoth wants to raise $23 bln with the listing of its Japanese mobile unit. That implies a chunky premium to peers and leans on a generous payout. A looming price war will make it tough to keep handing out twice as much of its profit as the likes of NTT Docomo. A journalist raises her hand to ask a question to Japan's SoftBank Group Corp Chief Executive Masayoshi Son during a news conference in Tokyo, Japan, November 5, 2018. Japanese telecoms and technology company SoftBank Group launched the initial public offering of its Japanese mobile-phone division on Nov. 12. It is selling 1.8 billion shares in the unit, including an over-allotment option, at an indicative price of 1,500 yen each. That could raise up to 2.6 trillion yen ($23.2 billion), according to a term sheet seen by Breakingviews. Ninety percent of those shares will be sold to domestic Japanese investors, while the remaining 10 percent will be sold internationally. 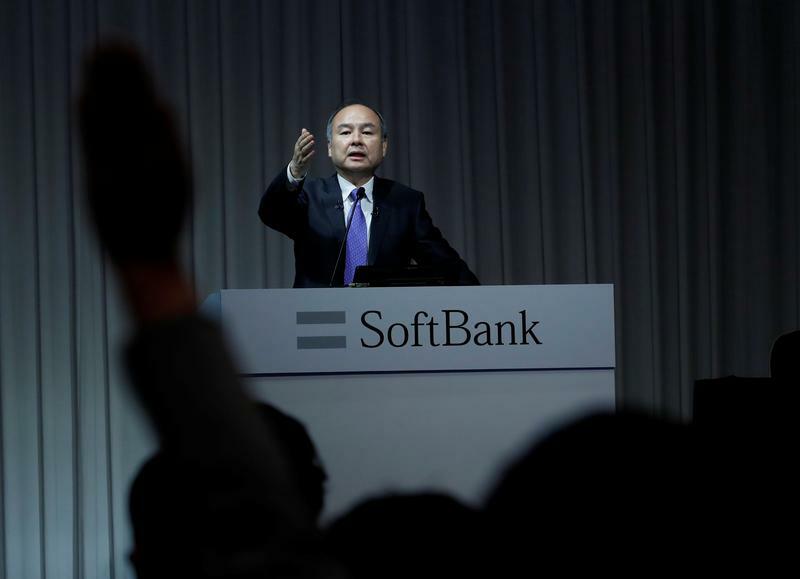 SoftBank Group Japan will hold 63.1 percent of the unit after the sale. A price range for the offering is due to be announced on Nov. 30, with a final price due on Dec. 10. Shares will begin trading on the Tokyo Stock Exchange on Dec. 19. Nomura, Mizuho, Deutsche Bank, Goldman Sachs, JP Morgan and SMBC Nikko are acting as joint global coordinators of the offering. A further 12 banks are also working on the deal.